Dogs at the workplace make offices a happier place and dog owners’ lives so much easier too. If you work for a start-up and/or you are your own boss, you may be lucky to get to choose where to work and bring your dog to work. What you will need is finding the right office space, with lease and building rules allowing canines, and some shared workspaces offer just that. 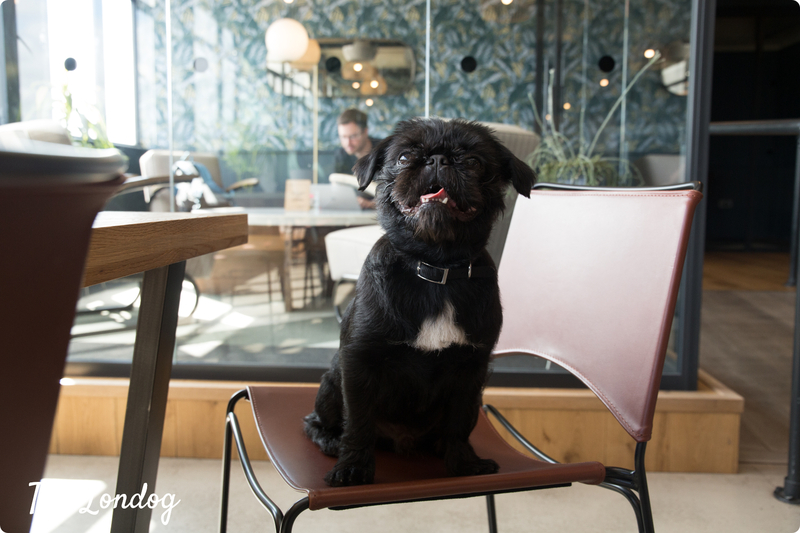 We pulled together the top dog-friendly workspaces in London and interviewed them and some of their furry residents to discover more about their canine policies and the behind-the-scenes daily lives of their members. Coworking spaces are relatively young as a concept. Reading here and there, they seem to have started in 1995, with the first proper coworking space with this name later founded in 2005 in San Francisco. If we look around today, shared workspaces in all their forms have gained momentum and have become extremely popular also in London (a few of them are marked in this not comprehensive open map). Coworking spaces are and want to be cool, flexible, inspiring. And maybe this helped when it came for them to set their dog policies. 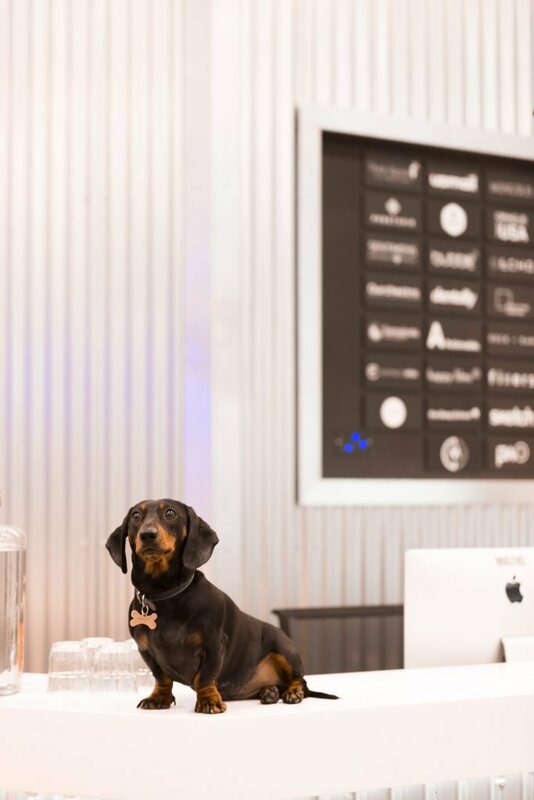 We found that many workspaces have adopted dog-friendly rules since day one and are very welcoming with pooches. However, interestingly, from the interviews we run, we learnt that in some cases policies vary within the same workspace brand, depending on the location, sometimes due to building rules, sometimes for reasons we weren’t explained. For instance, this is the case of Huckletree, which is only dog-friendly in one out of 4 locations of theirs. From outside, you wouldn’t probably guess that the Victorian red brick building in Borough Road, SE1, right behind the Mercato Metropolitano, hosts a workspace. The Ministry is a 4-floor co-working space (and a 2-floor private members club) which takes up old Victorian printworks. On their website they state that they love dogs, but truth is – as their Marketing Manager Jen says – that they are “massive dog fans”. The founder has 3 dogs himself and even started a dog charity called Bon Jardin, which treats sick and homeless dogs in Thailand, and also supports the Wild at Heart Foundation. Together, they recently hosted an auction at The Ministry to raise money for dogs in need, which was a great success. For the canine members of The Ministry, softy dog beds, water dog bowls and treats are provided. Upon request, they also arrange dog walking services. Jen explained that also members of the private club are allowed to bring in their dogs and that there are no restrictions in terms of areas were pooches are allowed. 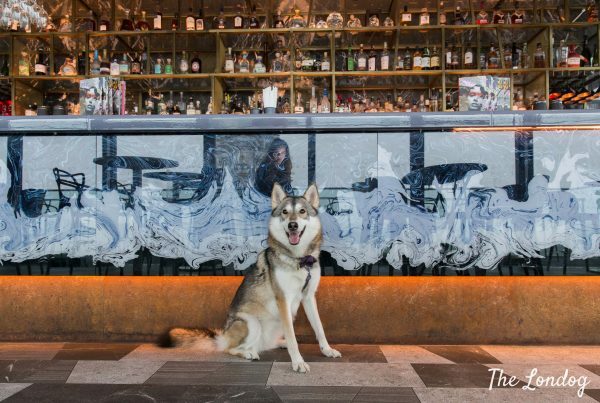 The only rule is that canines are kept on a lead in the bar and reception areas. 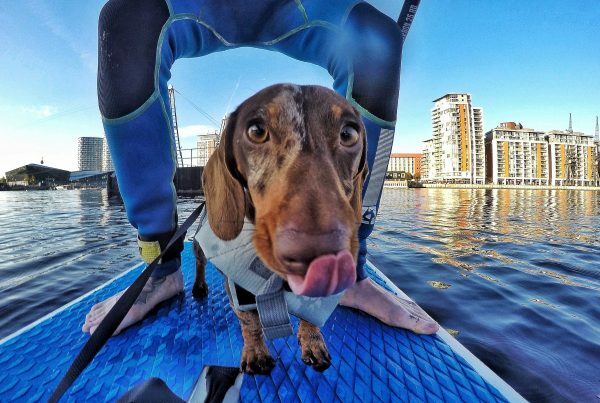 With all these perks, it comes to no surprise that they have many pooches loving their office life, with 7-10 dogs on average coming in on a normal day, according to Jen. She told us that they are all well-behaved and tend to chill out while at the office. 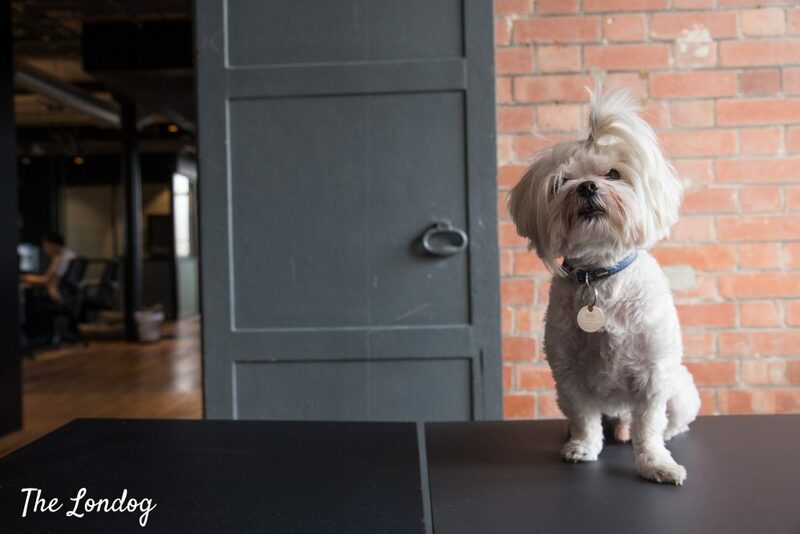 We met Milo, from PR agency LFA, who has been one of the latest office dogs joining The Ministry’s dog crew (he recently moved with his company from coworking space Uncommon – more below – and will later feature in our Office Dog Series). Milo is based on the fourth floor and he is just finding his feet around the new office space. With his human, Rosie, we were shown us around the building. The Ministry’s office spaces are stunning, with lots of natural light filtering from the large windows, velvet sofas, leather chairs, plants and very cool fittings, which make it a warm and cozy place where one can just love to spend their time. 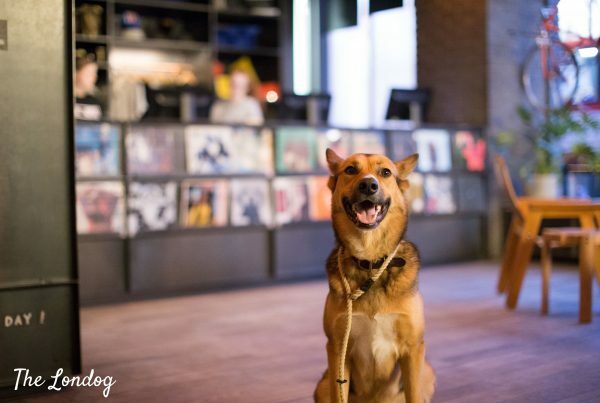 Multinational coworking company WeWork is well advanced on the dog policy front and lots of canines join their humans to work on a daily basis across their branches. WeWork has been expanding and today counts 47 buildings with office spaces to rent just in London. Paddington, Finsbury Pavement, London Fields, Aldwich, and many more, with a few ones just announced too. We reached out to WeWork, but to date did not receive any comment about their dog policy. However, all dogs we met who work at WeWork are enthusiastic about its dog-friendly spaces. Dog perks vary depending on the office. 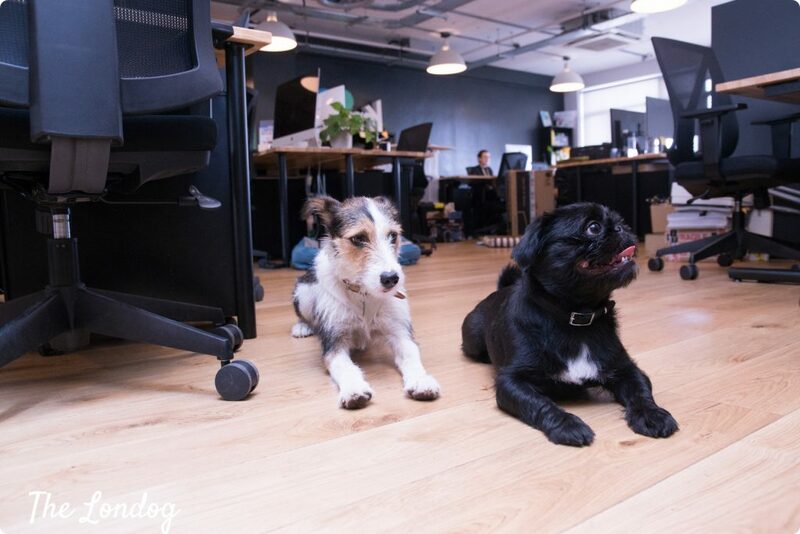 At WeWork London Fields they even host an annual internal dog show for their office dogs, where last year Monty from Digital Uncut won the best trick and best face categories. Kreativ House, in Mare Street, close to London Fields, East London, is a curated elegant and modern workspace and a dog-friendly one. Kreativ House is part of Wovus, which has other two offices in Clerkenwell. We chatted about Wovus’ dog-friendly policy with Tom Hammond, General Manager, who confirmed that all the sites allow dogs, although at the moment the only one to have some resident pooches is Kreativ House. 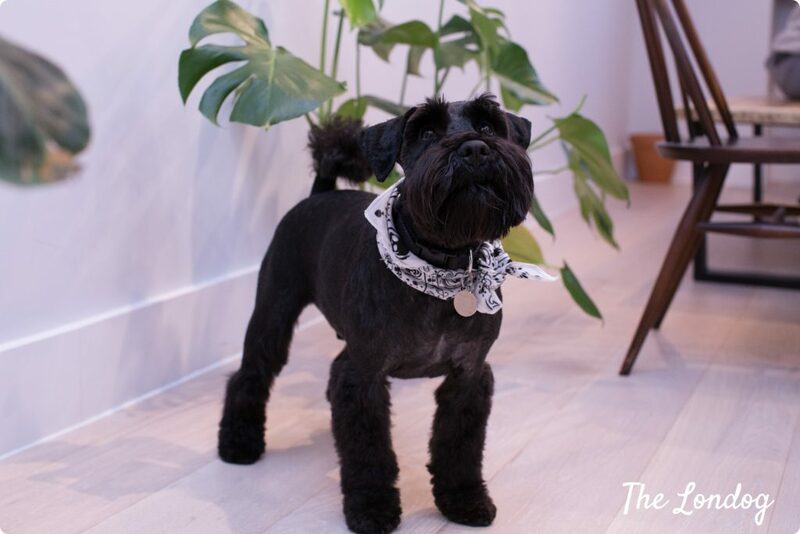 Talking about the resident pooches of Kreativ House, you may remember of Sebastian, the Miniature Schnauzer, who acts as Studio Manager at Toby Marsh Creative, and we interviewed in the Office Dog Series. He has a blast every day at the office and his dad Toby speaks enthusiastically about the place. 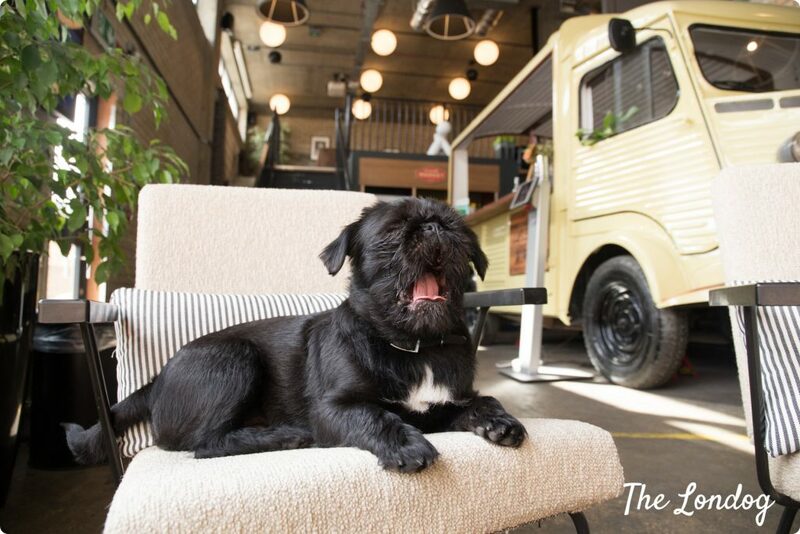 Huckletree has four London locations (one opening soon in Soho, and three across Shoreditch, White City and Clerkenwell), but their pet policy is not consistent across their locations, as dogs are currently only allowed at Huckletree West, in White City. We spoke with Huckletree West’s team and they told us that, on average, there are six dogs at Huckletree West on a daily basis. There are some rules to make it work. “All our members who want to bring in their dog do need to fill out an authorisation form. Any Huckletree pups should be kept on a lead, or in their owners’ private studio whilst on the premises, and the owner agrees to clean up any mess the dog makes”, explains Huckletree West’s staff. One of Huckletree West’s members is Butternut Box, that has also hosted a Hug-A-Rescue event for Huckletree West dog-loving members, partnering with the Mayhew to bring in dogs who are up for adoption for hugs. “We’re also soon to offer a member-only perk on a vet subscription service, Vet In The City”, concluded Emily. Aa a former car park which was repurposed and redesigned without losing some of the original features, Peckham Levels hosts many spaces and activities. A bar, a marketplace, a film club, a hang out, a rooftop bar and also a co-working space, called The Ramp. The building is dog-friendly (you can bring your dog to their free film club), and dog-friendly work spaces. 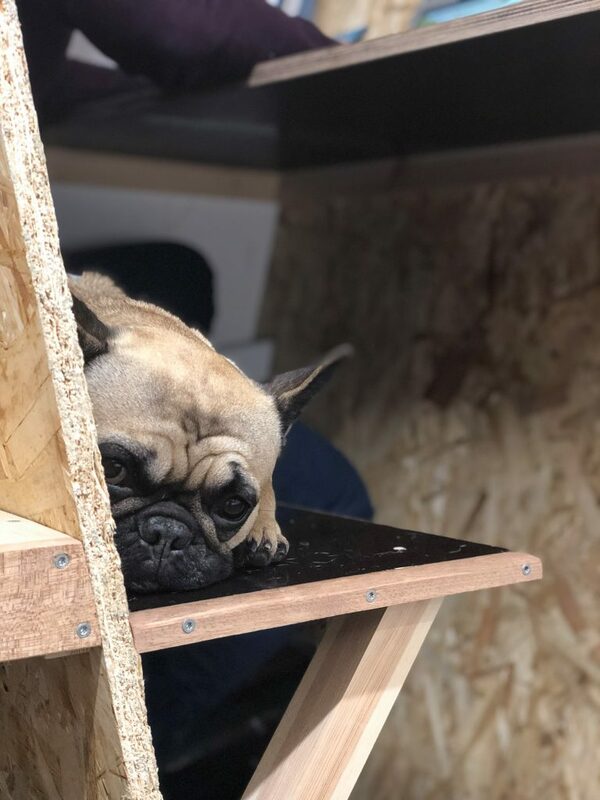 Currently, the Ramp has around five regular doggy co-workers, but there are lots more tucked away in the studios, offices and workshops throughout Peckham Levels, and they often go on walks and play together, Laura explains. The sweet photo of one of The Ramp’s doggy co-workers chilling out in one of their telephone booths is courtesy of The Ramp. 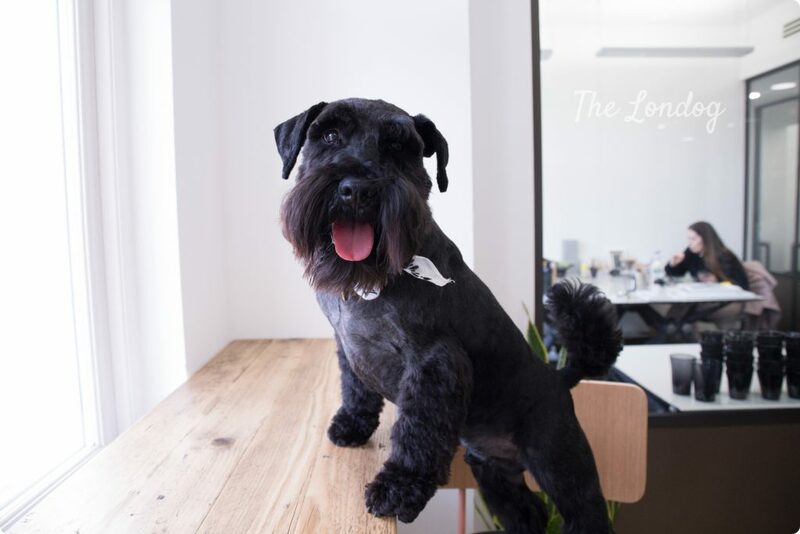 A co-working space with four locations covering all cardinal directions in London (Highbury and Islington, Borough, Fulham, Liverpool Street), Uncommon adopted a dog-friendly policy for all its offices and there are several pooches – like Winston in the photo – who enjoy going to the office on a daily basis. “LABS’ dog policy was introduced because we understand that owning a dog is a major commitment for professionals; a busy work schedule shouldn’t get in the way of caring for your pet. It’s also a great way to break up the day, with walks encouraging work breaks out in the fresh air and a general feeling of well-being thanks to our canine friends. When we brought in the policy we were of course careful to get feedback from members and there are still spaces in LABS that are kept pet-free for those who would rather work somewhere without the chance of dogs being present,” adds Chantal. As reasonable, there are some rules that canines should follow when around. “Friendly dogs who fit seamlessly into our community are very welcome and we want them to enjoy their LABS experience like everyone else, [while] they remain the responsibility of their owner. We ask that dog owners are sensitive to other members of the LABS collective, not all of whom may be fans of your four legged friend. 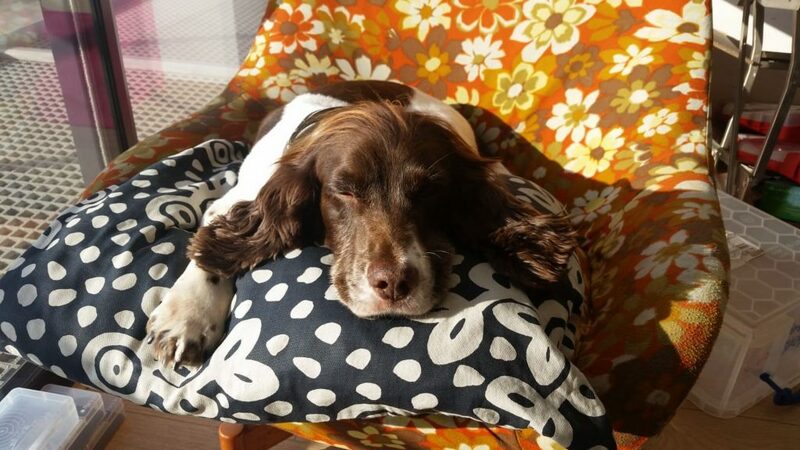 Dogs should not be left unattended or alone in spaces, kept on leads in public areas and refrain from sitting on furniture intended for use by our human members,” says Chantal. 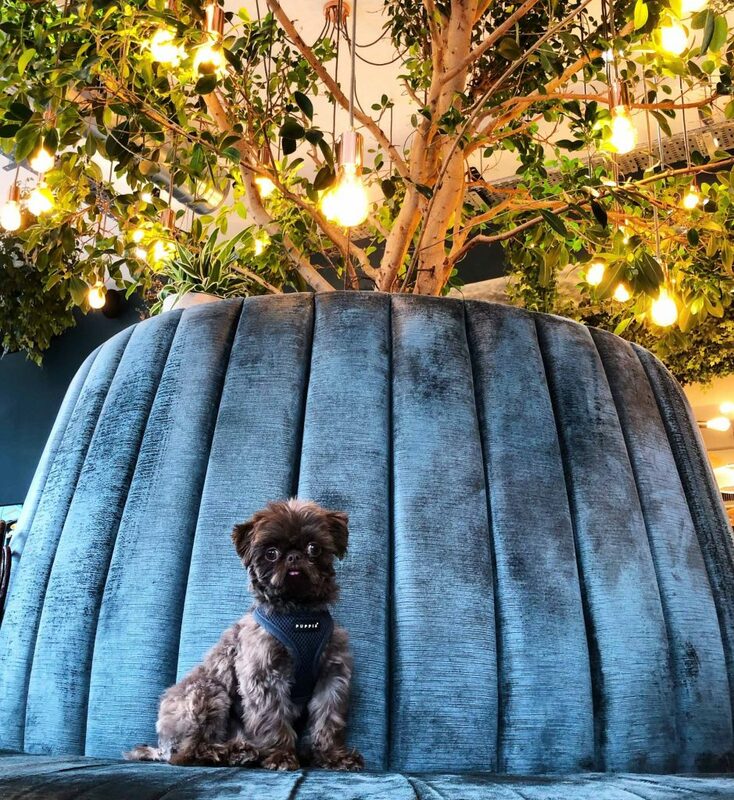 On any given day LABS expects around 10 dogs to come into their spaces, of all breeds and sizes, with the most dogs across their four Holborn properties, especially their flagship building LABS House, which offers a lot of space for pets. 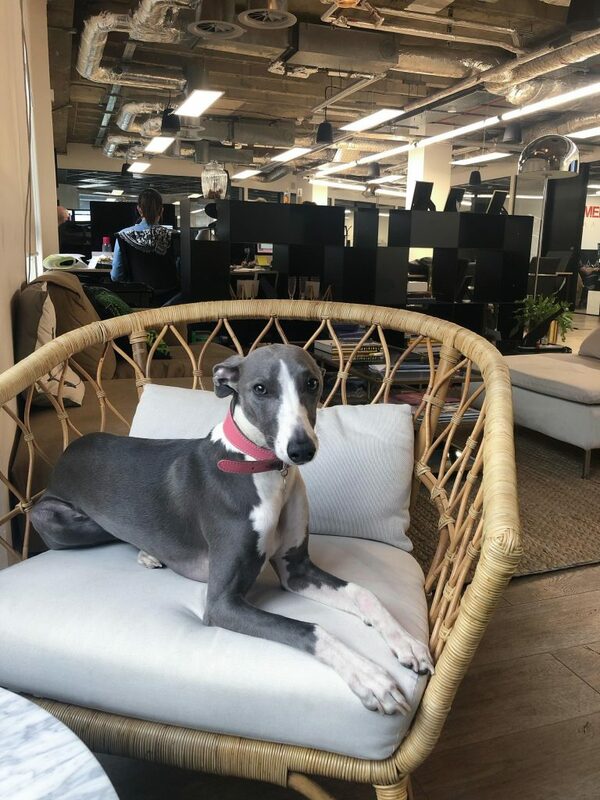 Among LABS members enjoying the dog-friendly policy there is Laura Giffard, Founder at Perq Studio, who brings in Betty Blue, her Whippet. “I love that Betty Blue can come into work with me, she’s a huge hit with the other members and it’s so lovely having an excuse to leave my desk to take her on walks, even in such a central and convenient location we have the benefit of some wonderful green spaces; Bloomsbury Square and the very dog friendly Lincolns Inn Fields,” she notes. 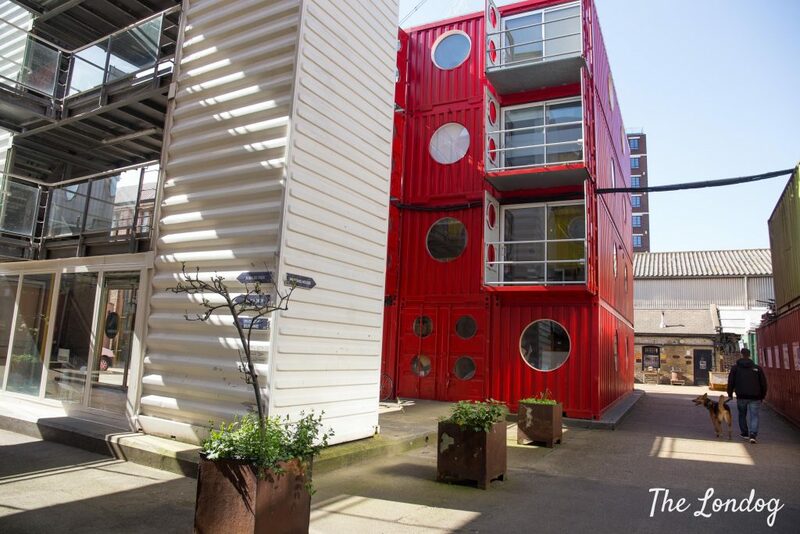 If you run a creative business, Trinity Buoy Wharf is probably the most peculiar workspace you could find, with colourful containers and vibrant spaces in the Docklands. Lovely to visit with your dog, but also to work at, as their workspaces are all dog-friendly, as we confirmed with them! The only formal rules are that dogs must be on a leash when outside and not aggressive. 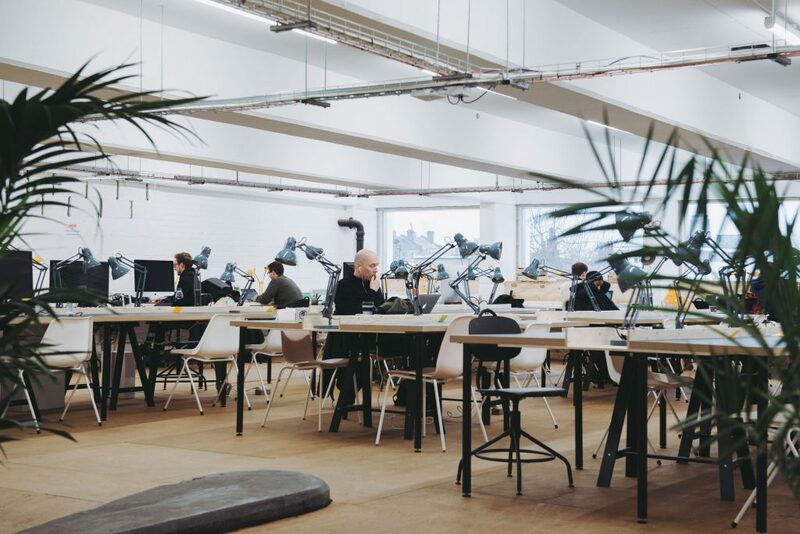 TechHub London, previously split in two HQs, has just moved offices to Clere Street, in Shoreditch, and welcomes four-legged ones to its spaces, just as it used to do before the move. They told us that there are a few dogs coming in on a daily basis and we are currently awaiting to hear more, so we will update this post soon. In Central London, in the very heard of Soho, there is Air Space. They have been dog-friendly since their opening in Oxford Street in 2015 and they currently have one dog coming in on a permanent basis and two one so often, as they told us. They don’t have a formal written dog policy in place, they say, as there are not many pooches and things work in an orderly manner with their current well-behaved four-legged co-workers. Also in West London there is some good dog-friendly coworking space option: Great Western Studios, in Notting Hill. We confirmed that they have a number of dogs coming in and we will be telling you more later. Rise London is a Fintech incubator in Shoreditch, created by Barclays. Sign that things can change also for the conservative finance sector, Rise is a more agile environment and dogs are allowed in their spaces. We reached out to them to learn more about their policy, but they didn’t wish to expand on it.